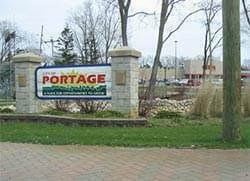 All-Pro Mechanical is proud to serve the Portage community! About Portage, MI - Happy to be your hometown Heating & Air Conditioning Contractor! Portage is located in Kalamazoo County, Michigan and has a total population of roughly 46,300. This city is located next to the City of Kalamazoo and is known for its large network of historical trails and parks used for outdoor recreational activities. Austin Lake is also located in the southeastern portion of the city. The climate for this region of the state is a typical Midwestern, humid continental zone with cold winters that feature significant snowfall. Summer months are often humid and quite warm. Despite the modest size of Portage, there are some attractions that can be found in this area. The Air Zoo is a specialty museum that is fun for all ages, and families may also enjoy a trip to the Airway Fun Center. Visitors that would like a day of pampering and relaxation may enjoy a trip to the M Spa Salon and Day Spa.